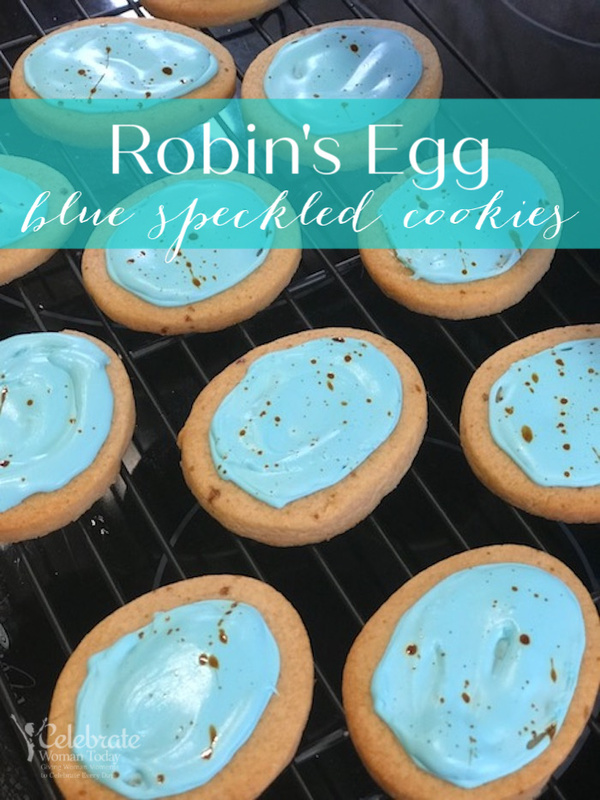 These Robin’s Egg Blue Speckled Cookies can be as versatile as you could make them. 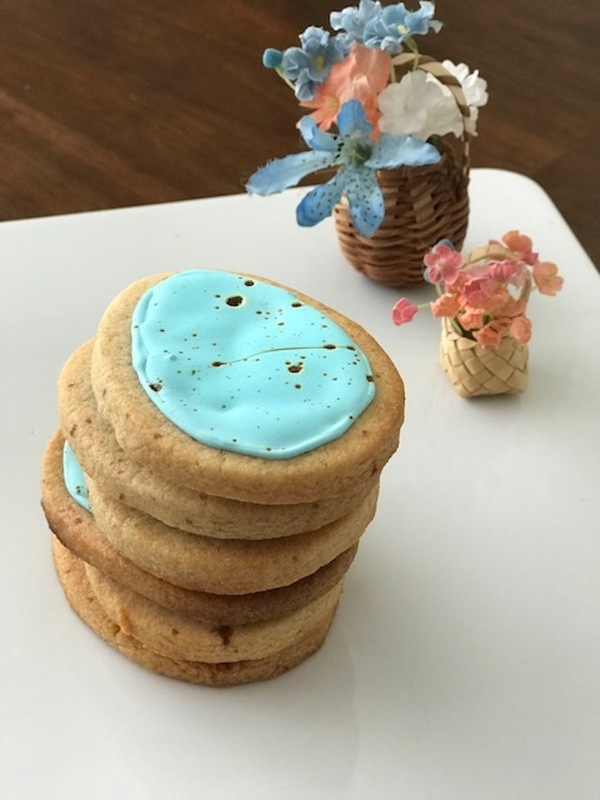 Here’s one of the gorgeous colors you could use in your Easter desserts and treats – Robin’s Blue. This beautiful hue of blue resonates with our inner soul and generates smiles without resistance. 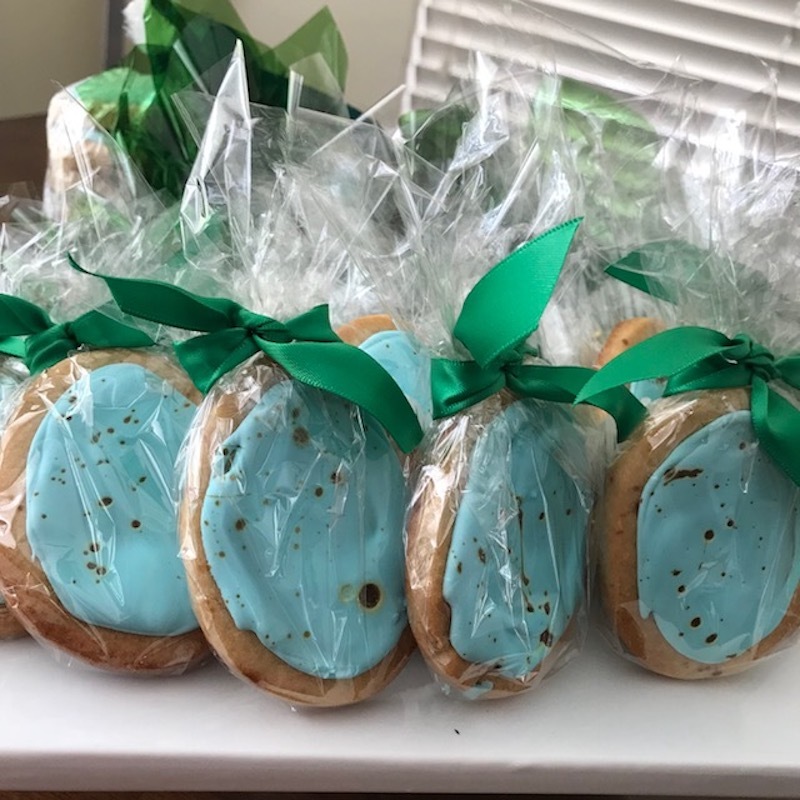 I decided to make these malted milk sugar cookies with Robin’s blue color to give out to my neighbors and friends this coming Easter. 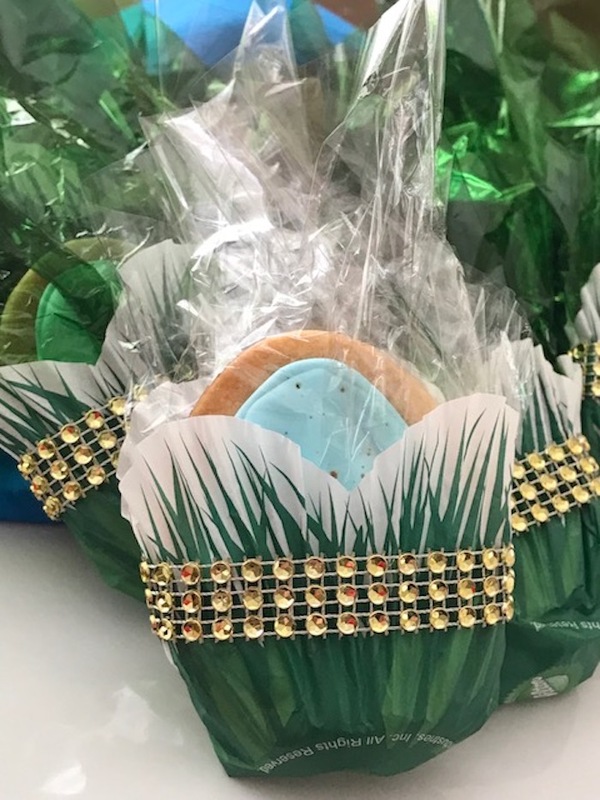 Just for fun, here are some amazing blue and turquoise color scheme you can use for Spring home decor, cookies, Easter centerpieces and more! And if you have a blog, you can use these colors for your fonts, too. 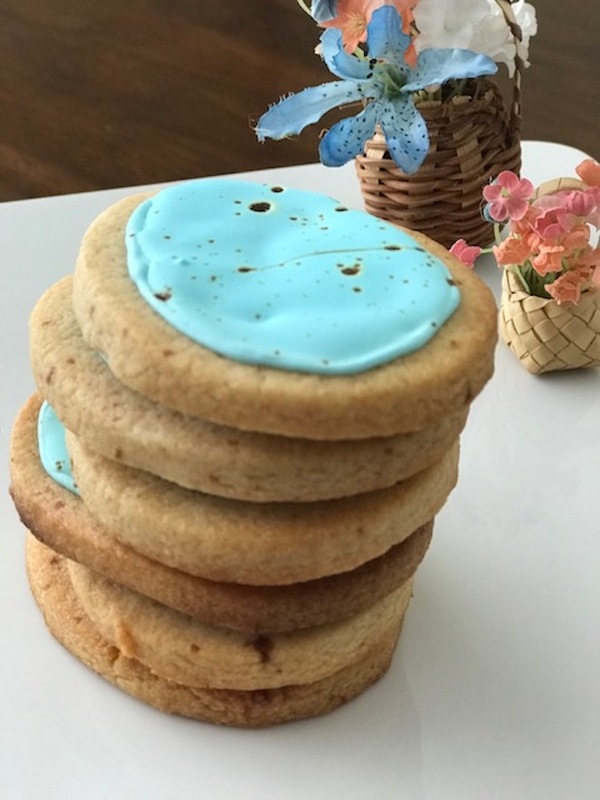 Easy and so colorful, your home-made robin egg blue malted cookies will make you a sensational celebrity overnight! Why? Because they taste like the cookies you used to have in your childhood. 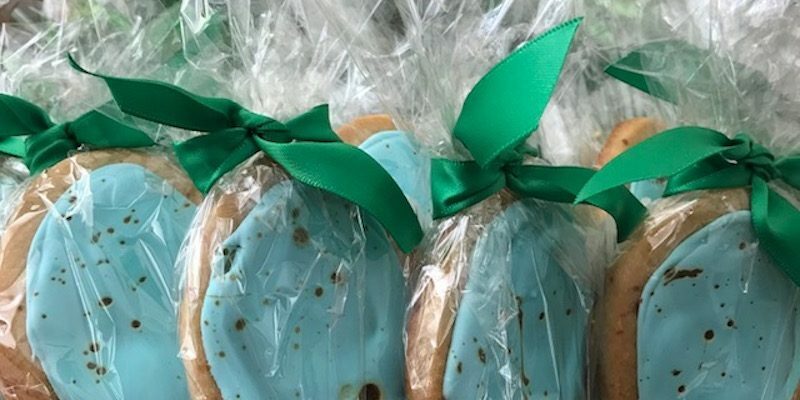 Only this time, these beautiful Easter cookies are made with malt milk and pretty Robin’s Blue color. Can I Add My Own Design to These Malted Milk Cookies? 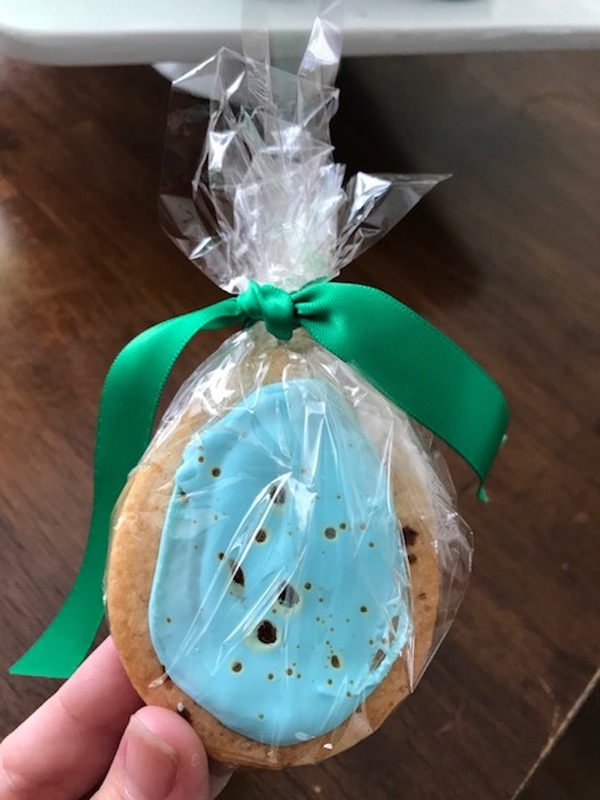 If you wonder about the question of how to decorate cookies to look like a Robin’s egg, it is really, really easy. The brown specs on the malted part of an egg can be produced with a simple brush. 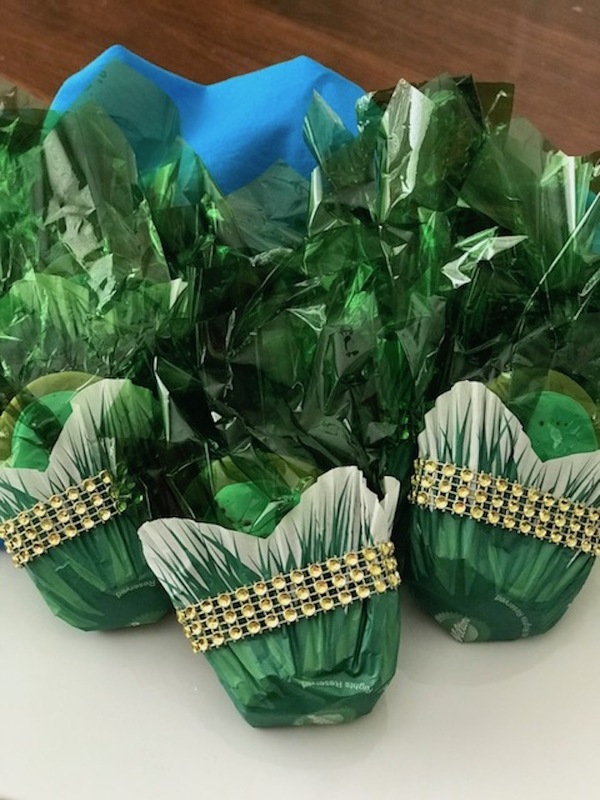 I encourage to add any decoration items and packaging to your beautiful blue malted cookies! 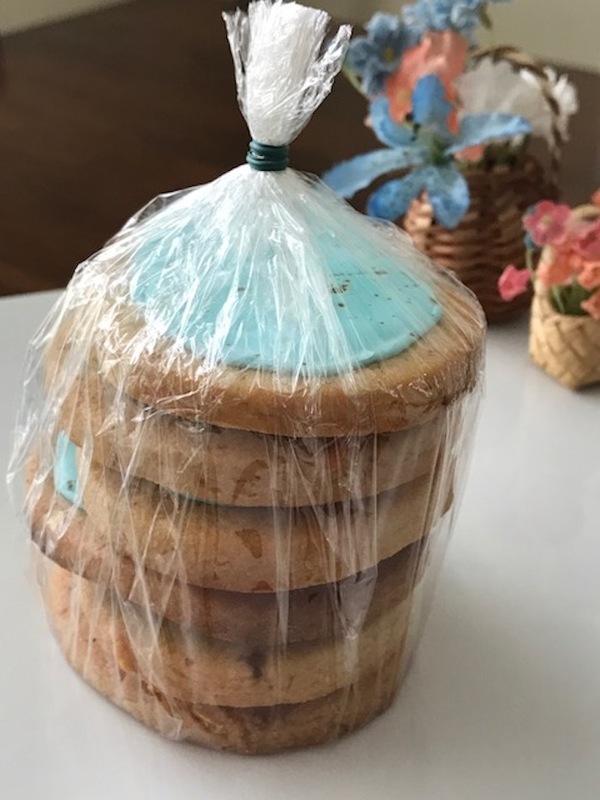 Scroll further to see what I did to my Robin’s Egg Blue Speckled cookies by using different color of cellophane and ribbons and paper. 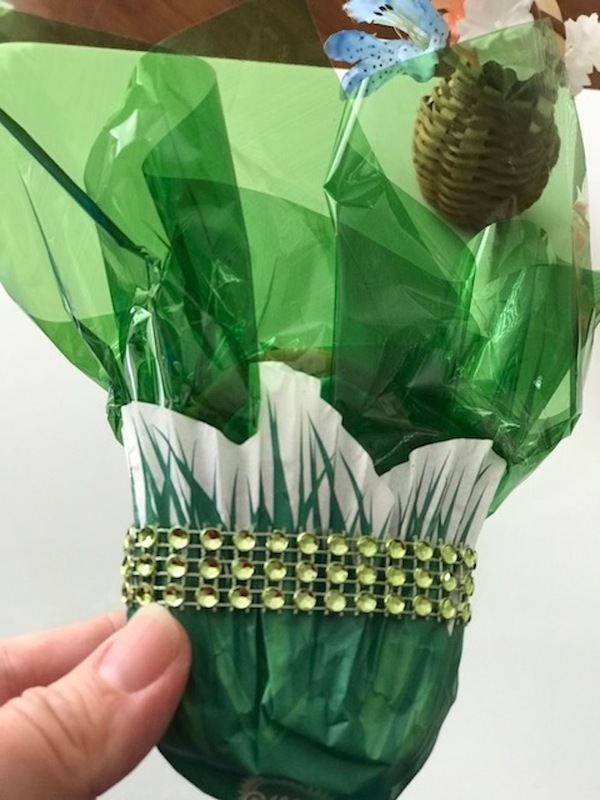 Sky’s the limit how you want to present this Easter gift to your family, friends, and your party goers. 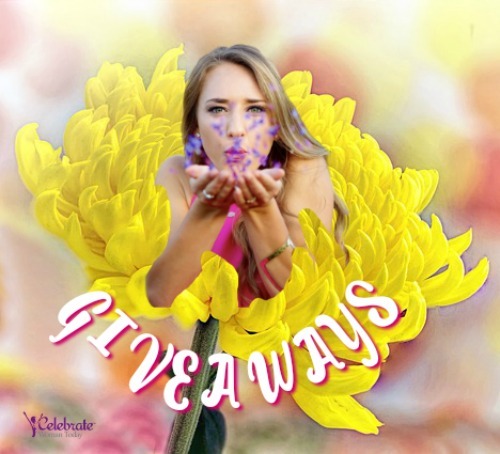 If you love easy recipes that are filled with colors and joy, this is a keeper! 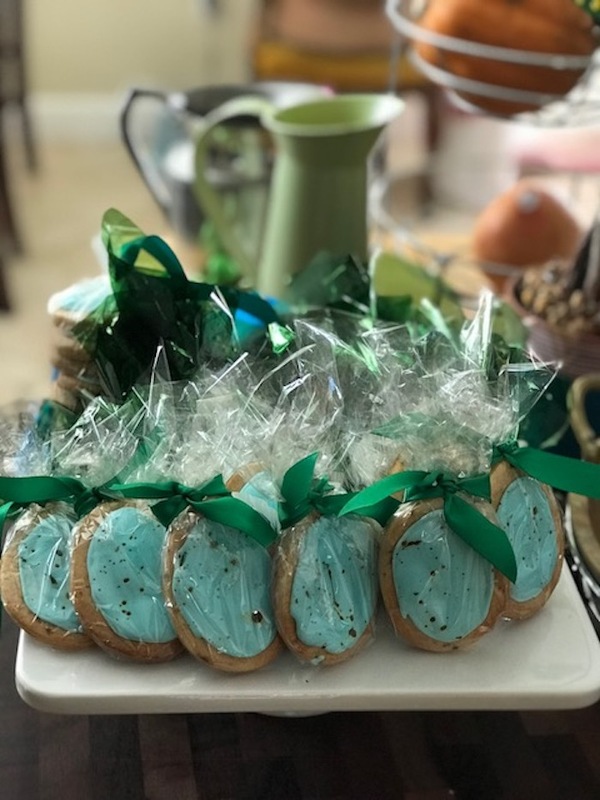 Without further ado, here are the ingredients and steps for your fabulous Easter Robin Egg Speckled Malted Cookies. You can print instructions, too, if you prefer cooking with a paper instead of looking at your phone screen! As a decorating idea for cookies, you can fill the base of each cookie as far as you want. 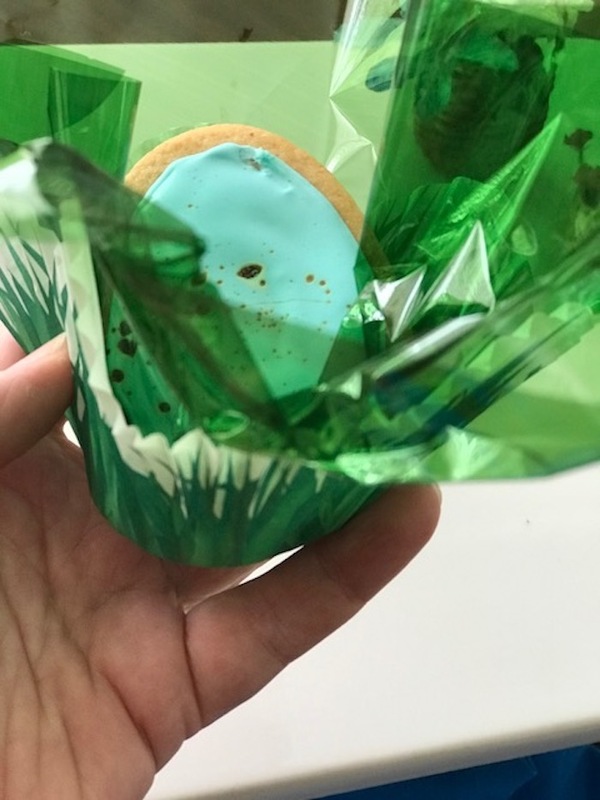 I decided to leave a generous rim around the Robin’s Blue Color because I used many of these egg-shaped cookies for other Spring home decorating ideas. 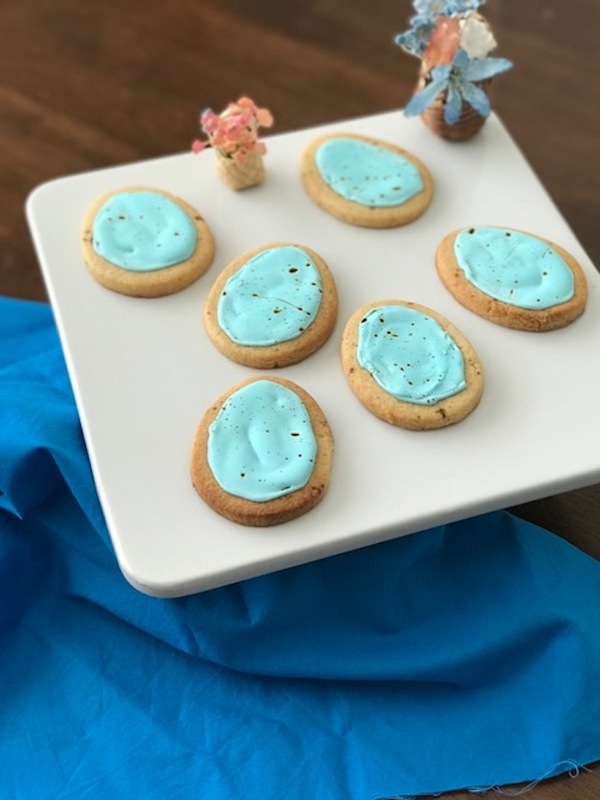 These Robin’s Egg Cookies Will Be Gone In No Time! 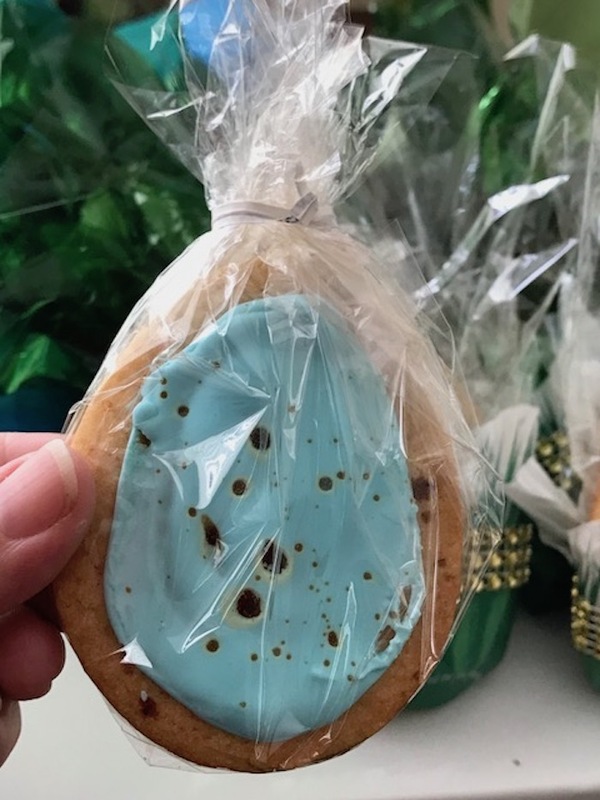 I used organic vanilla and a brush to create cool and random specs on these malted egg cookies. 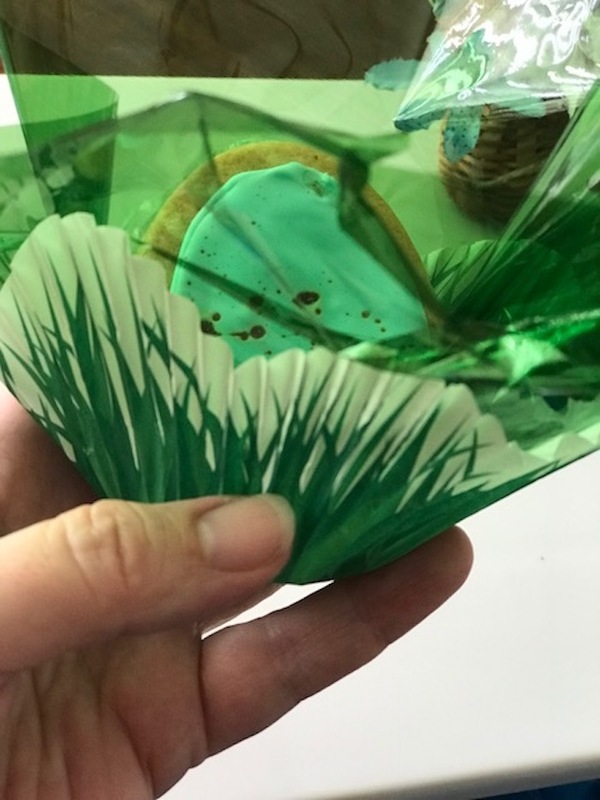 I used a transparent cellophane to individually wrap the cookies and allow the turquoise blue tip to show through. of Robin’s Egg Blue Speckled Cookies for Everyone! 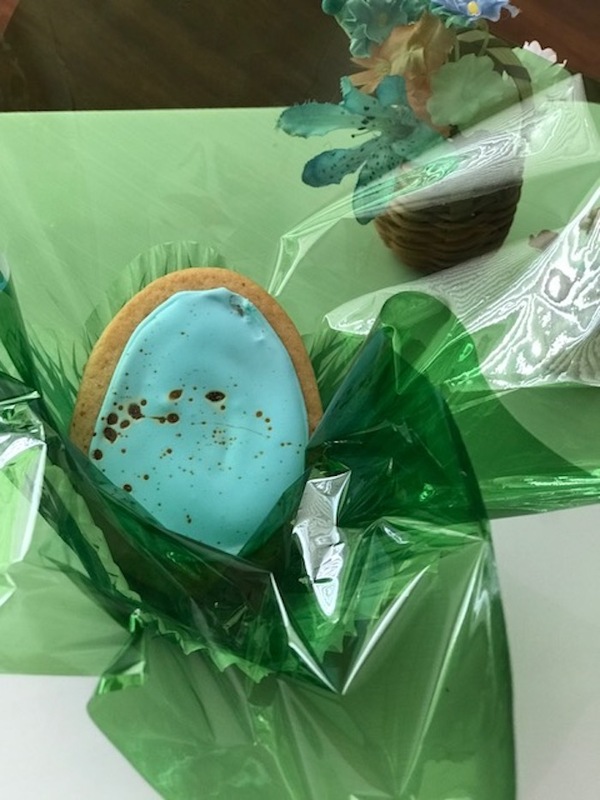 I used different cellophane colors and muffin cupcake paper to individually wrap my Robin Blue Egg Malted Cookies. 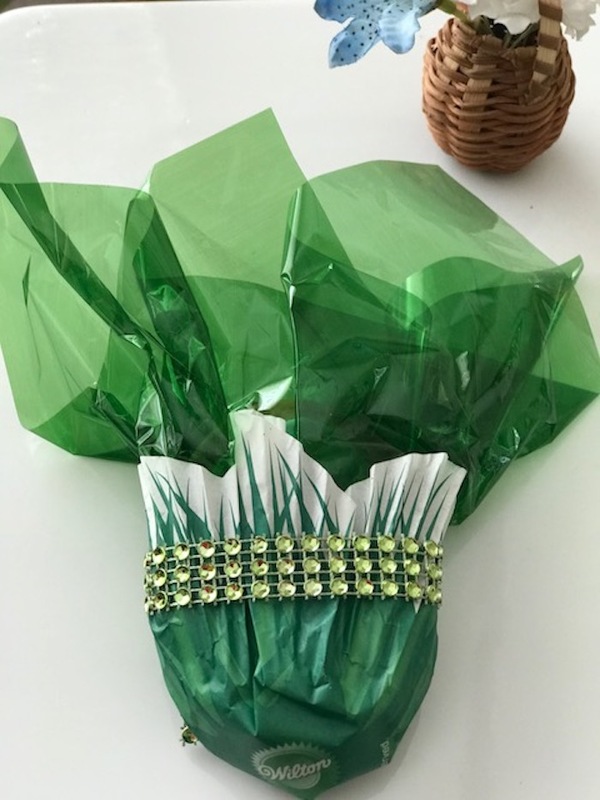 Whatever is available in your kitchen, use those options to dress up your Easter gift ideas. Let dough sit out for 5 minutes before rolling. Roll dough out on a surface lightly dusted with confectioner's sugar to 1/4-inch thickness. 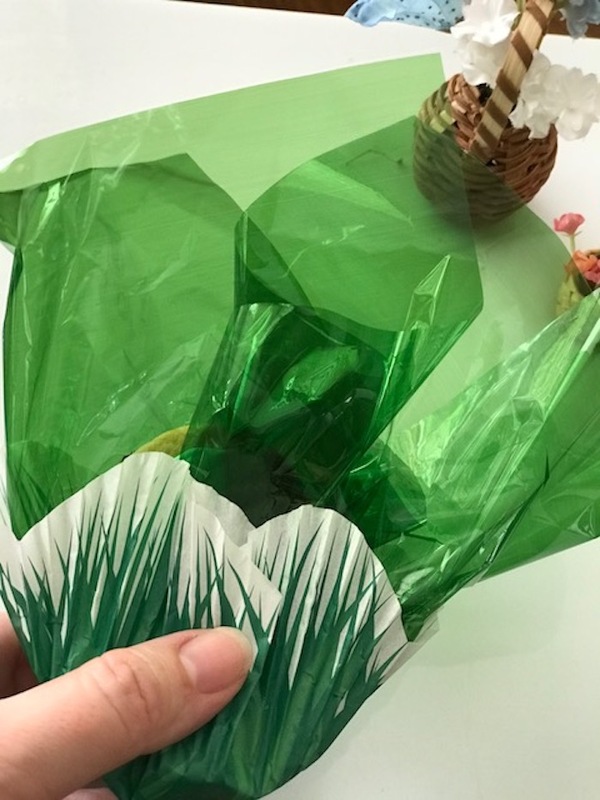 Using a 3-inch egg-shaped cutter, cut out cookies. Place on prepared baking sheet. Roll remaining dough into a ball, roll out and continue to cut out cookies. In a large bowl, beat all ingredients except food coloring, at medium speed, about 7 minutes. Add food coloring and incorporate by hand. In a small bowl, mix food coloring and vanilla. Using a stiff food grade paintbrush, dip brush into “paint” and blot lightly on a paper towel so the brush is not too wet. Flick the brush bristles with a fingertip. 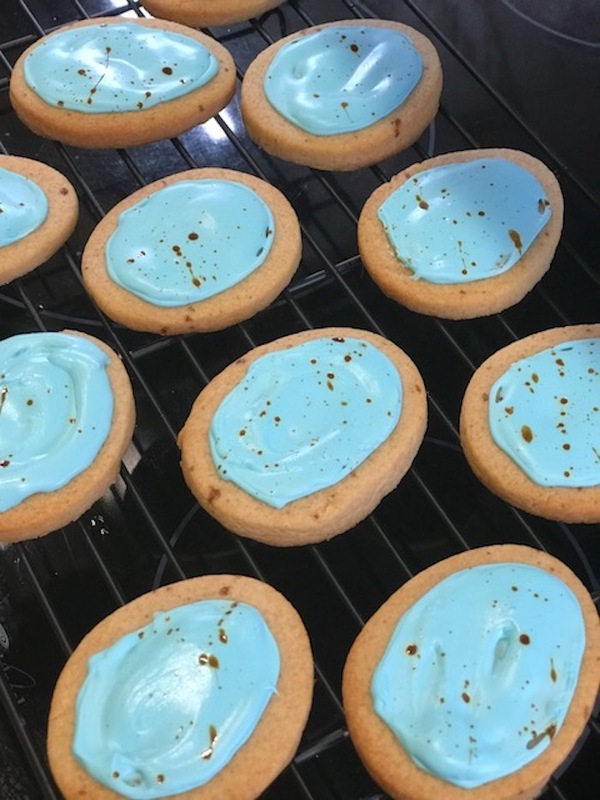 Do a sample cookie to see how close you need to be to get the best spatter. Continue with remaining cookies until they are all speckled. 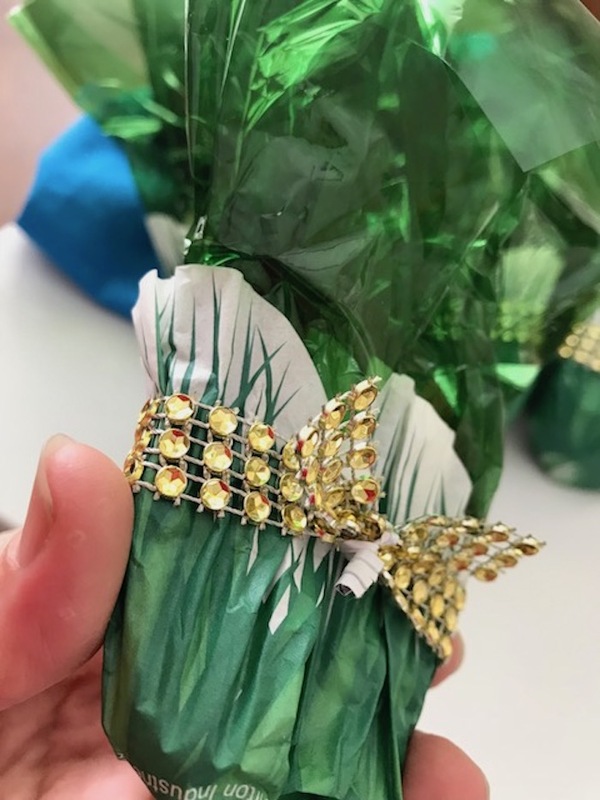 This is so cute, I would make these for the holidays, done up so nice, I like making treats for shut-ins for special days. 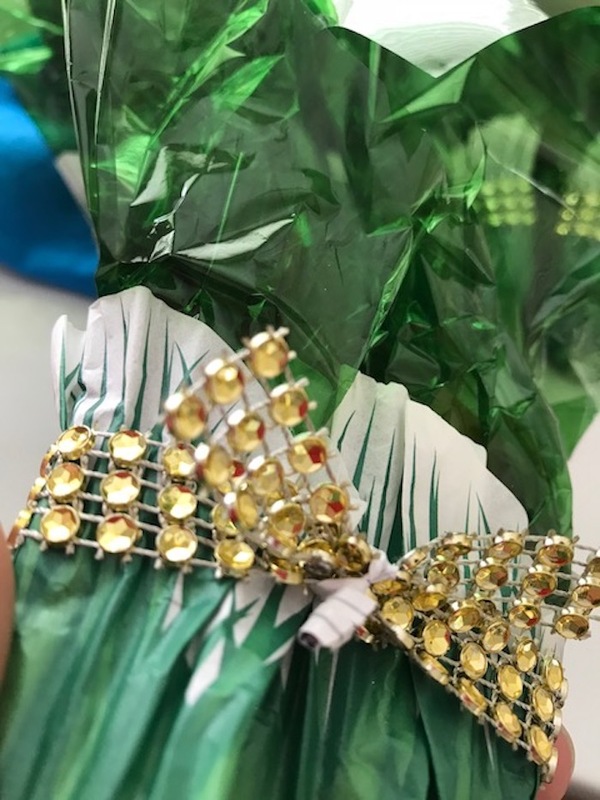 I found these a cool mini gift that is wrapped up and festively presentable. 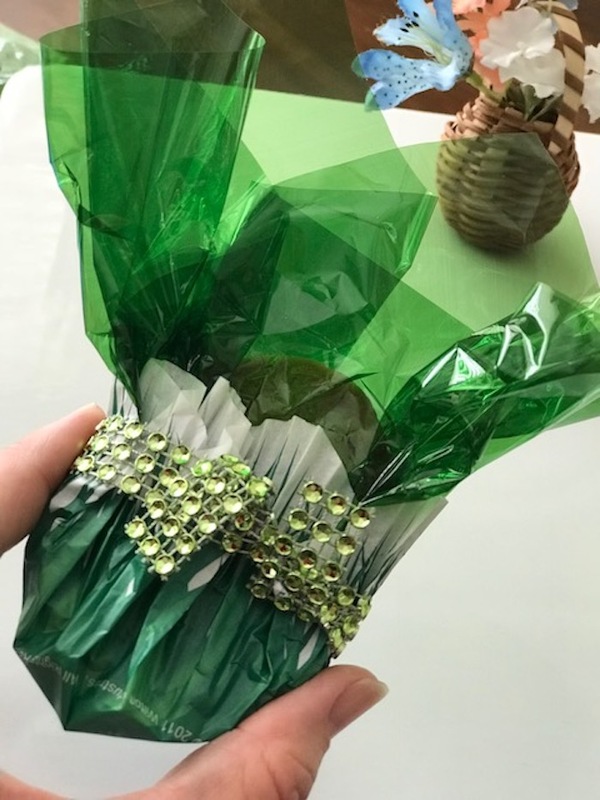 The beauty is that you can change the color for the coating and use the same recipe for Mother’s Day, 4th of July, Thanksgiving, and anything you want! Just use a different shape for Cookie Cutter!